Kleancolor Nail Polish Trend-setting shades with a top-quality formula long-lasting. chip-resistant nail lacquer. 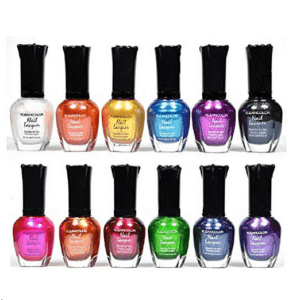 With high-quality vivid colors for the perfect manicure. Almost available in every imaginable color under the sun!. Formulated for long-lasting wear with no lumps or lines. The superb applicator brush picks up just the right amount of polish. Smoothly applies on nails. Quick-dry formula.